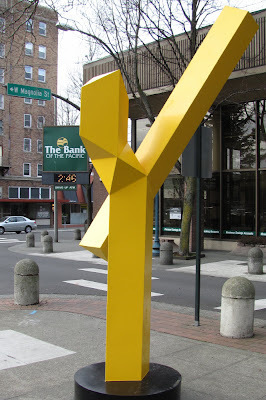 Another one of 19 Sebastian sculptures temporarily on display around downtown Bellingham. This one in the lawn behind the library. Whatcom County Courthouse in background to the right. 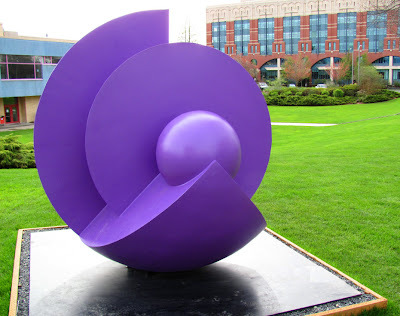 While I'm out walking, here's another sculpture. 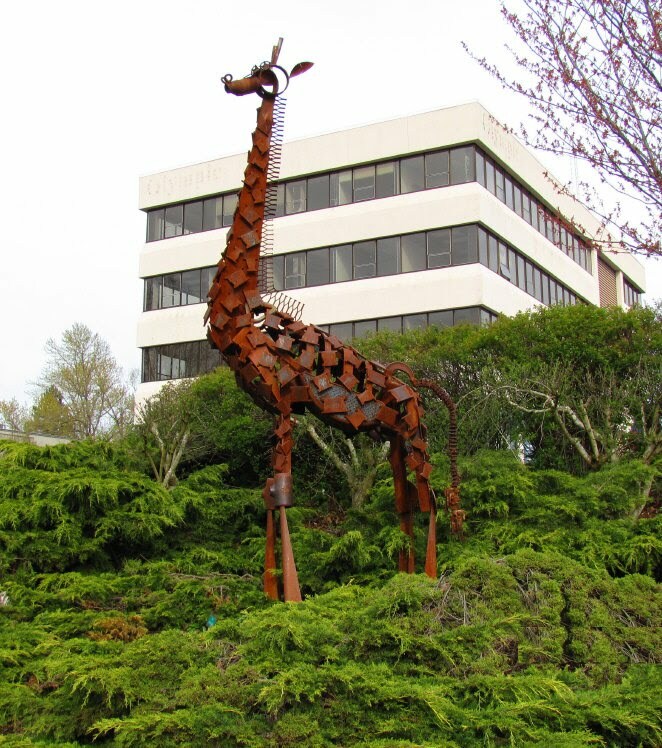 Is it a giraffe or dinosaur? Probably a giraffe. Some would call building behind it a dinosaur, however. Many bland, square buildings came out of the 1980s. Civic Center Building was built as private offices in 1980. The county now has this building and is planning to move some of it's operations there, after renovating parts of it. 19 urban sculptures by "Sebastian," said to be Mexico’s most famous contemporary sculptor are on display in downtown Bellingham from February through October 2010. 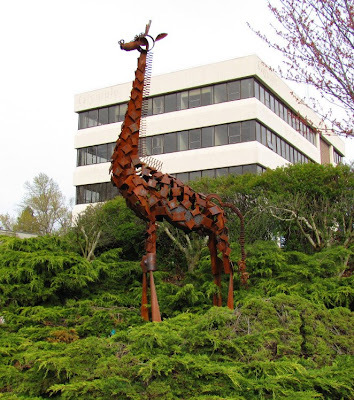 Sculptures are in town courtesy of the “Sebastian in Bellingham” Project. They also make nice thumbnail images to spice up the gray type of my blog.